Once again our attention has shifted to the biggest state of all, Alaska. The talk around the house is about Mushers, dog teams and of towns like Rohn, Nikolai and Ophir. We LOVE this race and it brightens up what is otherwise a dull month of the year. 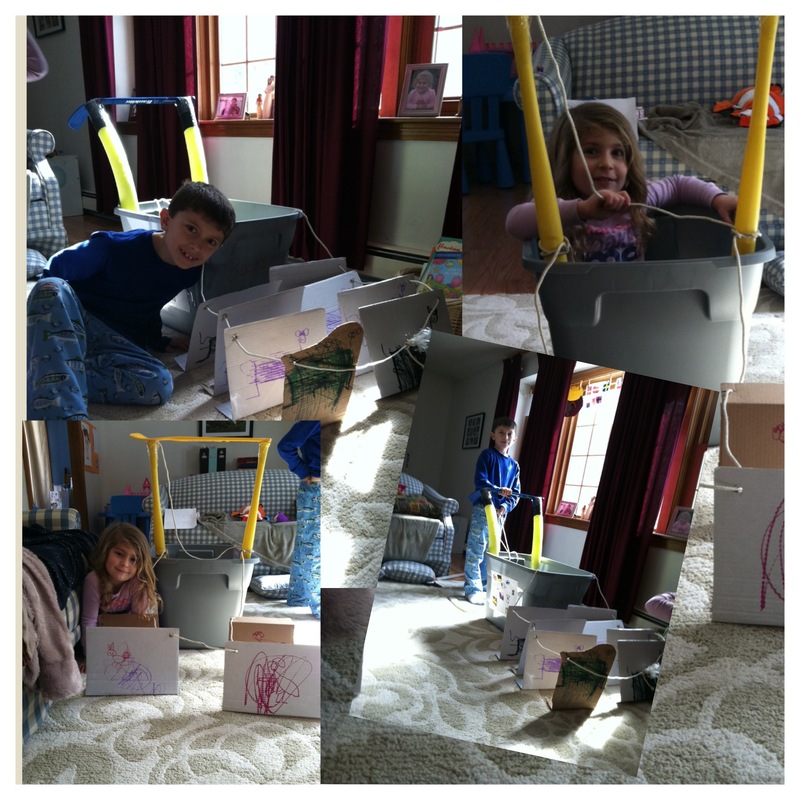 The kids built their sleds a week ago. This year they are more portable and can easily be put away! Lil’C added to her dog team (she has a cat in there, all dressed in jewels) and their sleds are packed with things they will “need” on the trail. Z and I made our race boards and they are much fancier this year! 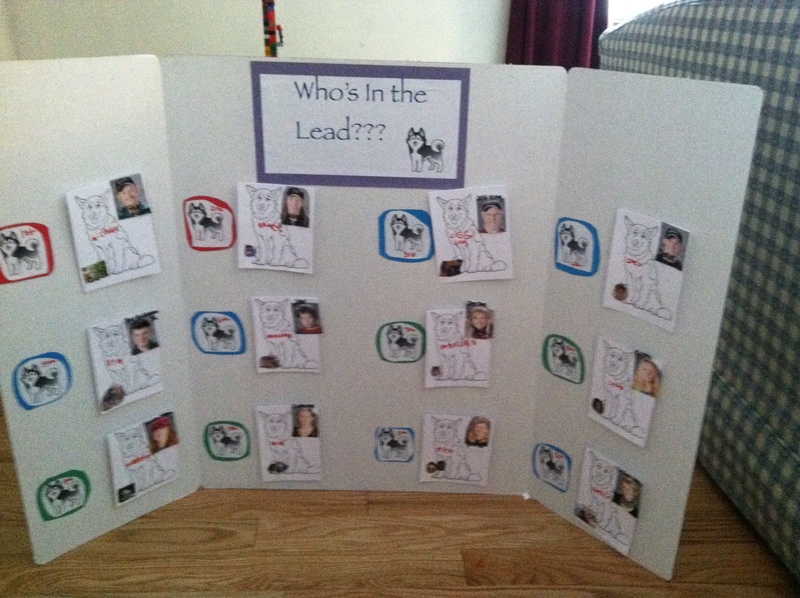 We have a Leader Board with velcro so the mushers can easily be moved around. Our Map is much bigger and more permanent (last year we used our window), as it can easily be tucked away in the attic and brought out again next year. We also made some gnome Mushers. We have DeeDee and Dallas and made some dogs for each! Z is also very excited about the new Iditarod app. It is FREE and you can easily check on the standings, read some news, see some video and it has a link to the website. The most exciting addition to this years race is we have a new connection up in Alaska! This summer we met a family friends parents who live in Alaska and the father works for the technology that powers the GPS of the Iditarod!! They get behind the scenes passes to the Ceremonial Start and she asked us which Mushers we were following so that she could get some pictures of them! This connection has been so much fun for us, and we hope to one day go up there for the start. As a former homeschooling mother, she is so supportive, has a wealth of great resources and has been so kind to reach out to us. 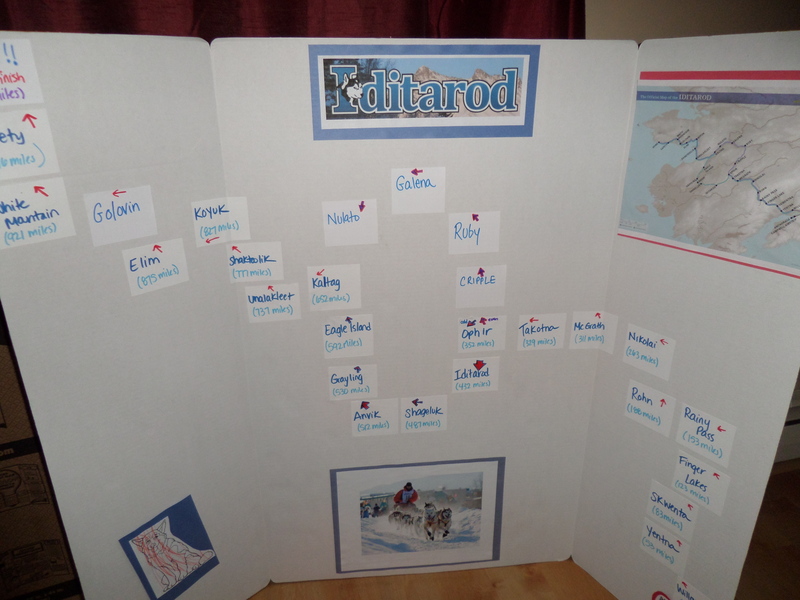 So if you haven’t caught onto the Iditarod fever yet, you really should! Check out the website, pick a Musher to cheer on and have some fun. It is the greatest race of the year!! Love the Iditarod gnomes and dogs! Can’t wait to follow it with the kids this week. Nome, Alaska? They are really cute….. love the dog gnomes! Hello, from Anchorage, Alaska! It was so wonderful to find kindred spirits with our love for Alaska and the Iditarod sled dog race! The dogs were so excited to running at the race start, but the weather was a bit on the warm side for them. It is supposed to make for a fast trail this year, so don’t miss a minute of the race! Mush on!